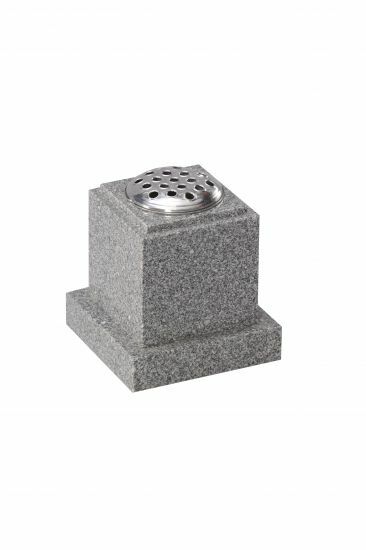 Light grey granite flower vase with check top. Vase block size shown 7"x7"x7" upon 8"x8"x2" base. (Any lettering is additional to cost shown, please contact us for details). All prices featured on this website are subject to terms and conditions, and can change without prior notice. Errors and omissions in pricing shown are accepted. All sizes are approximate measurements for prices shown. © 2019 Mendip Memorials. Website by Sparkdriver. Valid HTML and CSS.